Don’t you just love mid-October? Over the past few years it has been the middle of this month that has varied the most. Two years ago, the weather was temperate in the high 50’s and low 60’s; people were wearing light jackets in the morning and shedding them by the afternoon. Last year, a light snow fell around this time, and temperatures struggled to reach the 40’s; everyone was bundled up throughout the entire day. Today, the outside temperature is just under 90 degrees Fahrenheit, and most have opted for t-shirts, shorts, and sandals. Last weekend, low temperatures dropped down into the mid-30’s but did not reach freezing, and thus in St. Peter we still have not had our first frost of the year. Regardless, this appears to be our Indian Summer (a warm period following the first cool-down of the fall), and it looks to be a record-breaker. This hot period is predicted to last into early next week, when high temperatures will drop back down into the 50’s and 60’s, which of course is still wonderfully warm for this time of year. And, as if the temperatures aren’t nice enough to get you outside, there is only a very small chance of rain on one day next week. 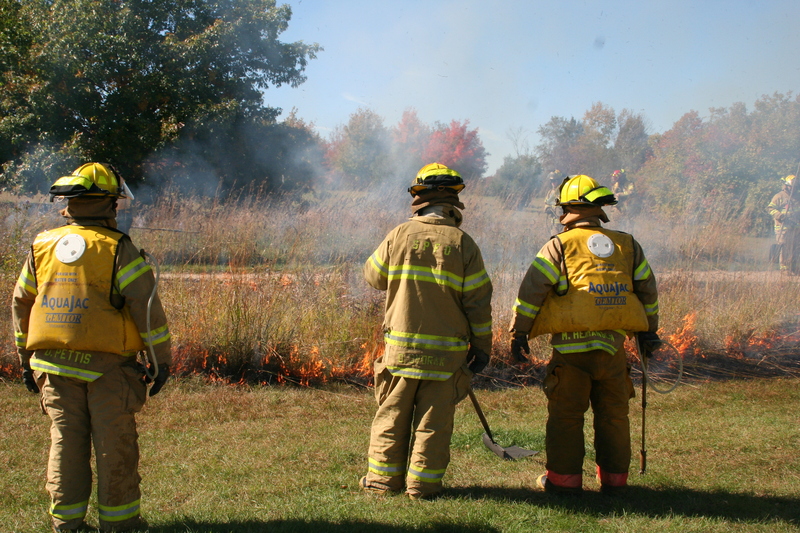 On Sunday 10/3 a controlled burn of the Uhler Prairie was conducted by the St. Peter Fire Department. It has been eight years since this prairie was last burned, and thus it was well overdue for a scorching. 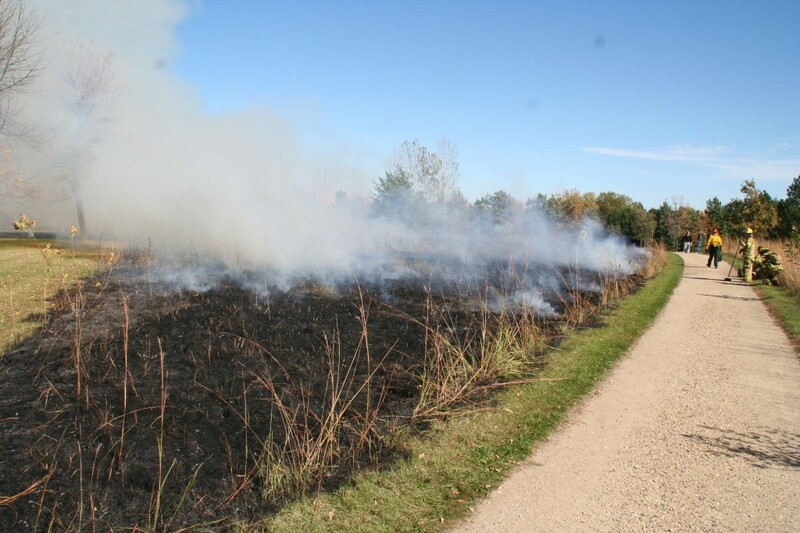 Fires are essential to a prairie for three reasons: (1) they remove dead and decaying material, (2) they release stored nutrients into the ground and encourage new growth, and (3) they keep trees and other woody plants from spreading into grasslands. Without fires, prairies have a difficult time thriving in the long run. The original native prairies (pre-settlement) were usually started by lightning strikes, but restored prairies are now burned periodically by the various agencies, organizations, and municipalities that manage them. What remains after Sunday’s burn looks and smells like a charred, ashen field, but don’t be discouraged; next spring the prairie will bounce back and appear greener than it has in years. Uhler Prairie one day after controlled burn, 10/4/10. Good timing indeed. We weren’t even sure that we were going to do it that afternoon, but the conditions happened to be just right for it that day. Hope the teaching is going well!